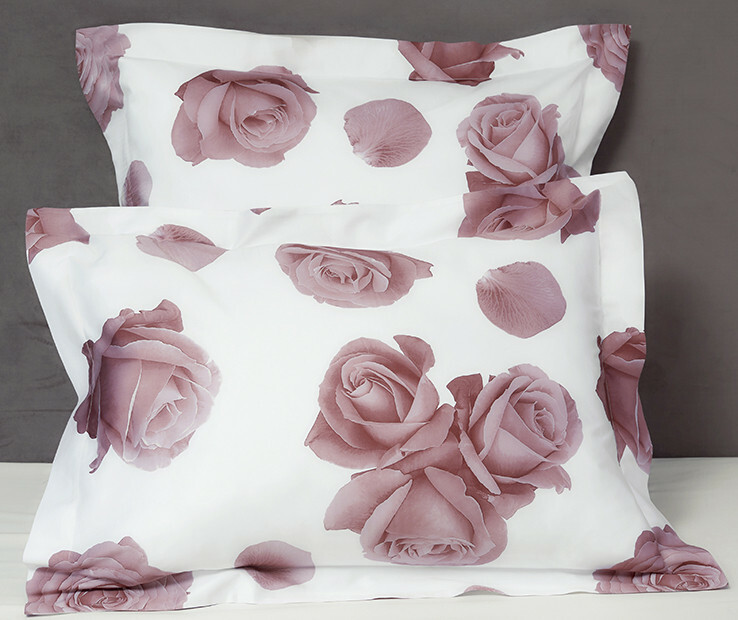 The Baccarat shams represent the theme of a fine rose, where every chromatic nuance is exalted up to its velvet petals. 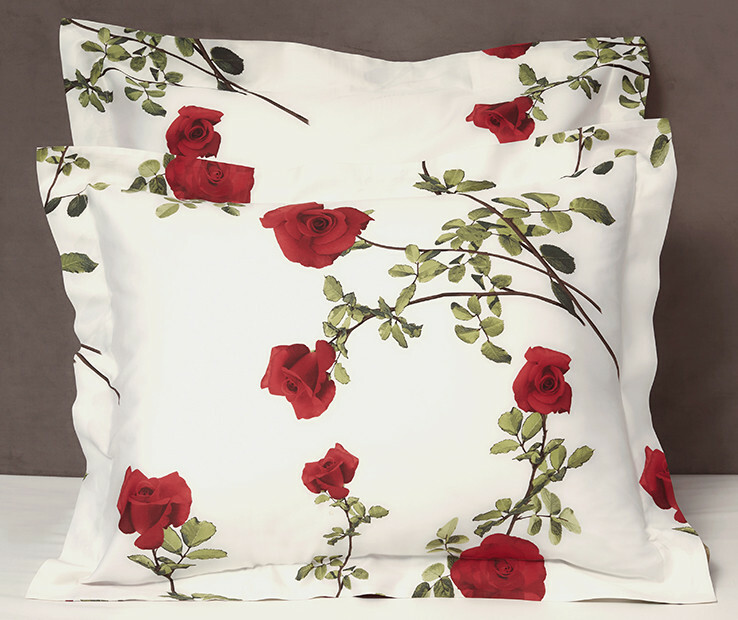 The print is made on soft and bright Signoria Egyptian combed cotton sateen 300 t.c and is made with traditional printing that guarantees an outstanding durability of the colors and the three-dimensional effect of the flowers. Available in Standard, Euro and King sizes, the Baccarat Shams have four flanges of 2 inches neatly finished with a simple hem. Made in Italy. The Azalea shams are an explosion of colorful flowers, symbol of femininity. The Azalea, with its delicate but strong shape, is perhaps the flower that best represents positivity and temperament. The traditional printing used for this collection guarantees an outstanding durability of the colors. 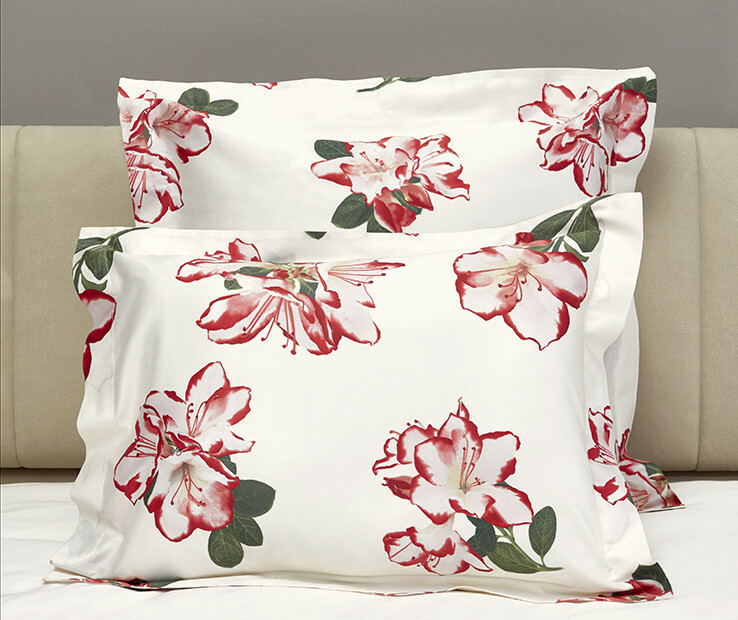 Azalea is printed on sateen 300 t.c. that is woven with the sublime Egyptian combed cotton and finished with the most renown Italian techniques. Available in Standard, Euro and King sizes, the Azalea Shams have four flanges of 2 inches neatly finished with a simple hem. Made in Italy. 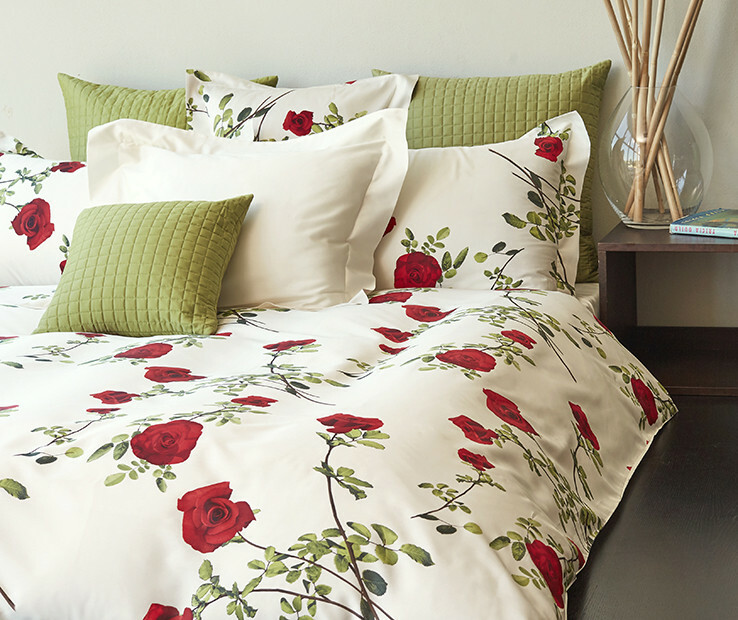 This Baccarat duvet cover represents the theme of a fine rose, where every chromatic nuance is exalted up to its velvet petals. 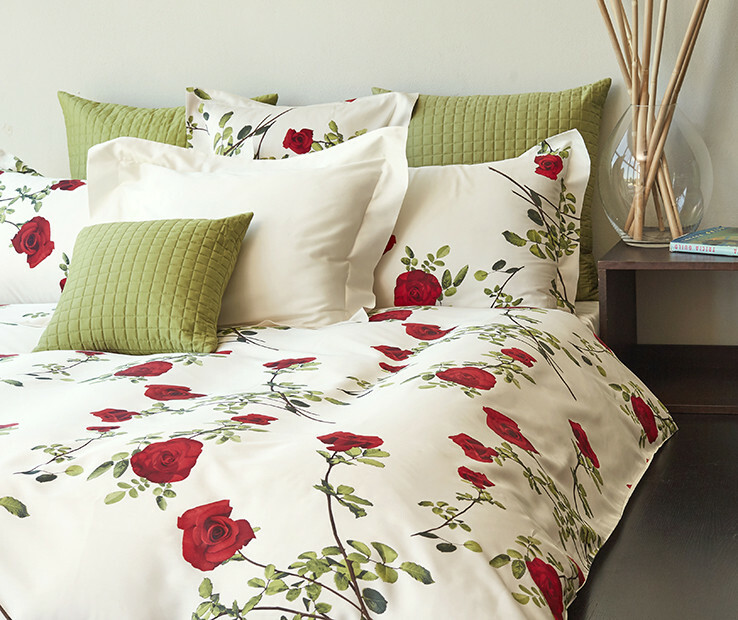 Available in Twin, Queen and King sizes, the Baccarat Duvet cover is backed with silky plain cotton sateen in coordinating color and is neatly finished with a simple hem. buttons closure. Made in Italy.